– “Ostannja Barikada” – a restaurant full of symbols and meanings, which unite the art platform, the museum of Ukrainian revolutions, a shop with books and souvenirs. The restaurant kept the tradition of the eponymous art cafe, founded in the 2000s by O. Donia. The aim of the restaurant is – to popularize the national culture, to become a place for discussing cultural initiatives, meetings and communication, who share values such as freedom, respect and tolerance. The interior of the restaurant organically incorporates historical artifacts of the modern history of Ukraine – the symbols of three Ukrainian revolutions: the Revolution on Granite, the Orange Revolution and the Revolution of Virtue. 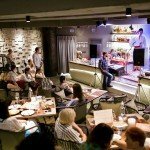 This is the first modern Ukrainian gastronomy: a huge collection of Ukrainian farmer cheeses and professional fermentation, a collection of freshly baked bread and an incredible amount of meat specialties cooked for authentic recipes, Black Sea fish and seafood. Also, the restaurant boasts a collection of top-quality domestic alcohol – Ukrainian wines, distillates, vodka and kraft beer. There is no foreign alcohol. This is the place where you can hold meetings, visit music and poetry evenings, present cultural and social projects. Password: “Fight and you will overcome!” The restaurant is located in the shopping center “Globus”. Address: Maidan Nezalezhnosti, 1. The restaurant is located in the shopping center “Globus”. Average check: 500-700 UAH per person. – “Atmosphere” – an open-air restaurant located on the roof of the five-star Premier Palace Hotel. It should be noted that the hotel opened in 1912, and the building itself is an architectural monument and one of the sights of the capital. The restaurant “Atmosphere” presents the author’s and hospice menus. Exquisite dishes will surprise the most demanding client. 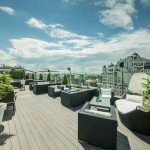 The restaurant will surprise not only with its menu, but also panoramic views – from here you can see the centre of the capital, Shevchenko Boulevard and NSC Olimpiyskyi – the main Ukrainian sports arena. For a pleasant pastime, DJ plays here from Thursday to Sunday. The restaurant works exclusively in the warm season. “Atmosphere” is an ideal place for a beautiful evening. 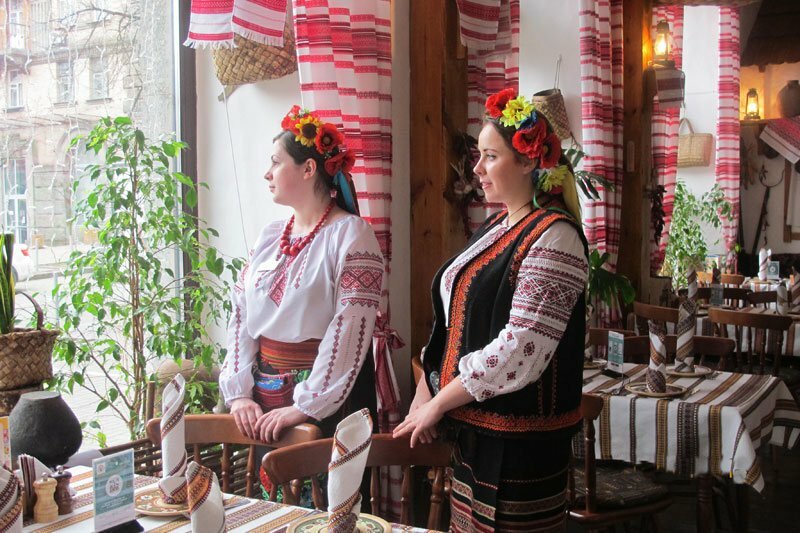 – “Taras Bulba Inn” – a family restaurant of national cuisine, located on the Prorizna Street . The interior made in the Ukrainian style, resembles a real inn – wooden furniture, painting and national ornaments on the walls, towels and homespun carpets, household items. Menu consists of traditional Ukrainian dishes, which are prepared according to ancient recipes. Among beverages they offer homemade tinctures, wines and liqueurs. Each guest at the exit is sure to be treated with nalivka “on horse”. On Saturday pottery master classes are held. 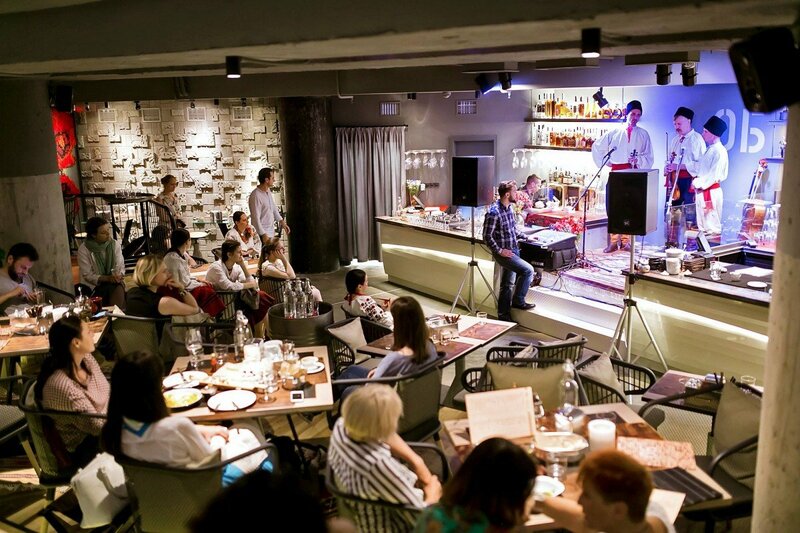 The restaurant is loved by foreigners, foreign celebrities and Ukrainian show business stars. 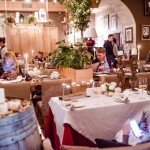 – “Citronelle” – a modern French restaurant located on the Bohdana Khmelnytskogo Street. The interior is decorated in soft beige tones – light furniture, sideboards with household utensils, paintings on the walls and fresh flowers around. Panoramic windows open a beautiful view of the rhythmic life of the city and one of the sights of Kyiv – the Opera House. 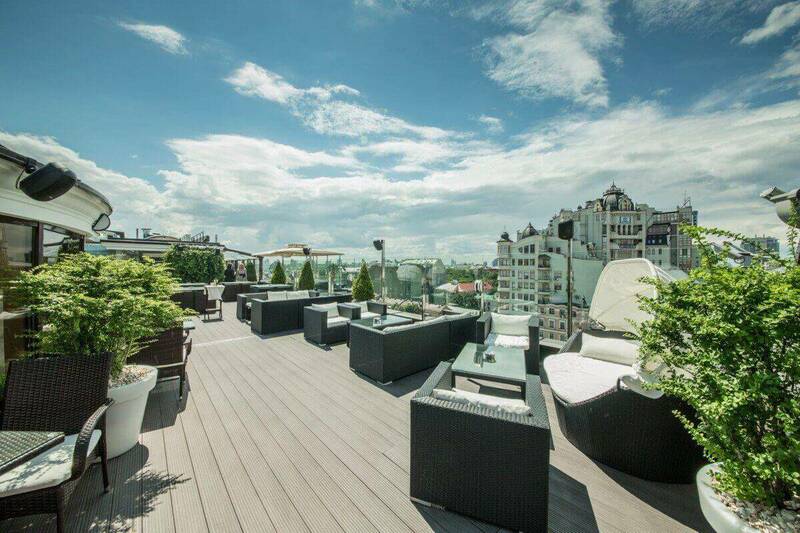 There is a spacious summer terrace. In the menu you can find dishes of French cuisine with an innovative approach to the preparation of simple dishes. Popular dishes can be called a foie gras with seasonal berries and Porto sauce. 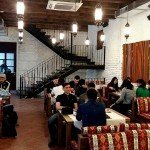 – “Musafir” – one of the new cafes-restaurants, which immediately became popular among local residents. 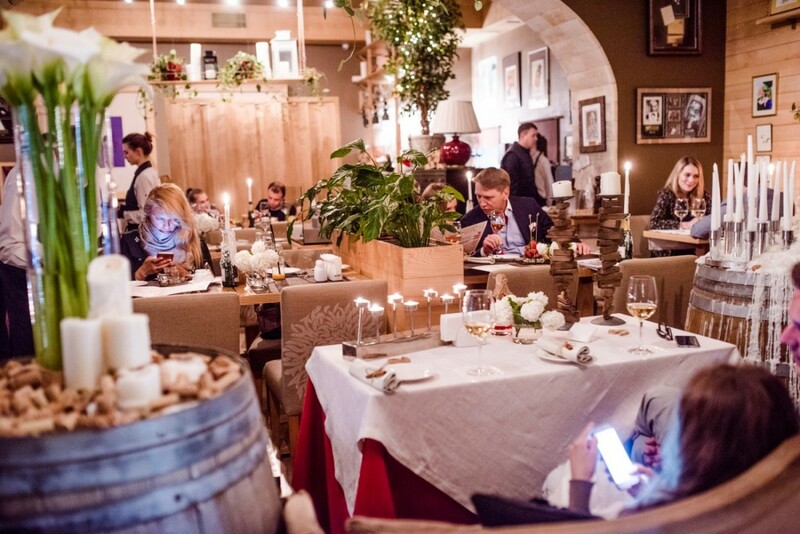 The restaurant with the Crimean Tatar cuisine was opened by the settlers from the Crimea – the Seyitveliev family. The menu presents traditional dishes of Tatar cuisine – chebureks, yantyks, manty, kebab and, of course, pilaf. Special attention should be paid to coffee, the preparation and serving of which has a certain ceremony here. And the Crimean sweets will not leave indifferent even those who are not a lover of sweet. The interior of the institution presents an old Crimean-Tatar house, the walls whitewashed with lime are decorated with carpets. In the evenings live music is played. 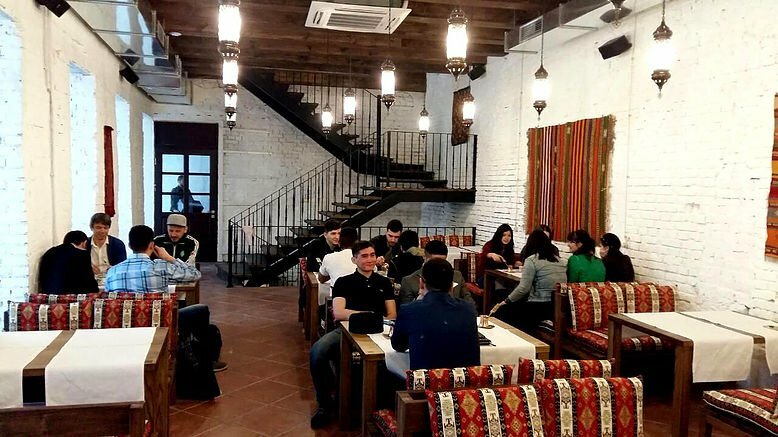 Musafir became not only a favourite place among the citizens, but also the centre of meetings of Ukrainian Tatars. Average check: 200-400 UAH per person.